I wondered what it would be like just to paint myself; to paint what I saw in the mirror repetitively. Well, within half a sitting I became aware that all I was doing was painting a picture of a mirror; there just happened to be something there reflected in the mirror. However, the centrepiece of the show was the painting The Dead Painter Surrounded by his Children and Companions, “a parody of the death of his own mother and a drawing by André Slom of Courbet on his deathbed”. An extensive book of notes and illustrations relating to its overarching theme – Et in Arcadia ego (I, Death, am in Arcadia also) – was also produced. There is presently little documentation which survives for this Project - no list of works has emerged, for instance. 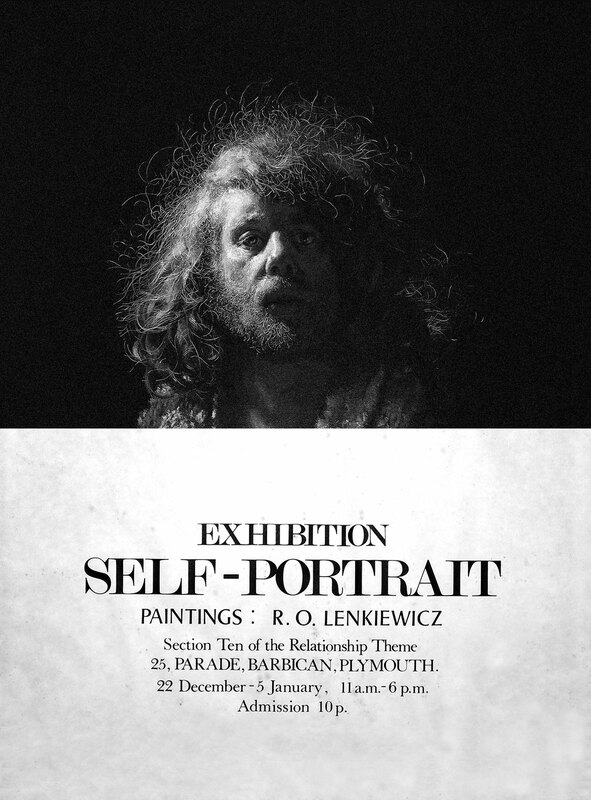 However, in 1988 the artist produced a remarkable set of notes for an exhibition of works preliminary to Project 18, which contains a significant essay on the theme of self-portraits much of which is possibly contemporaneous with Project 10. This has been included as a PDF (click on Exhibition Booklet). Robert and Eliza outside the Barbican Studio in 1979. No list of works for the Self-Portrait Project has emerged. If you are in possession of one, please contact the Foundation. Alternatively, photographs of the exhibition, no matter what the quality, would be invaluable for cataloguing purposes.